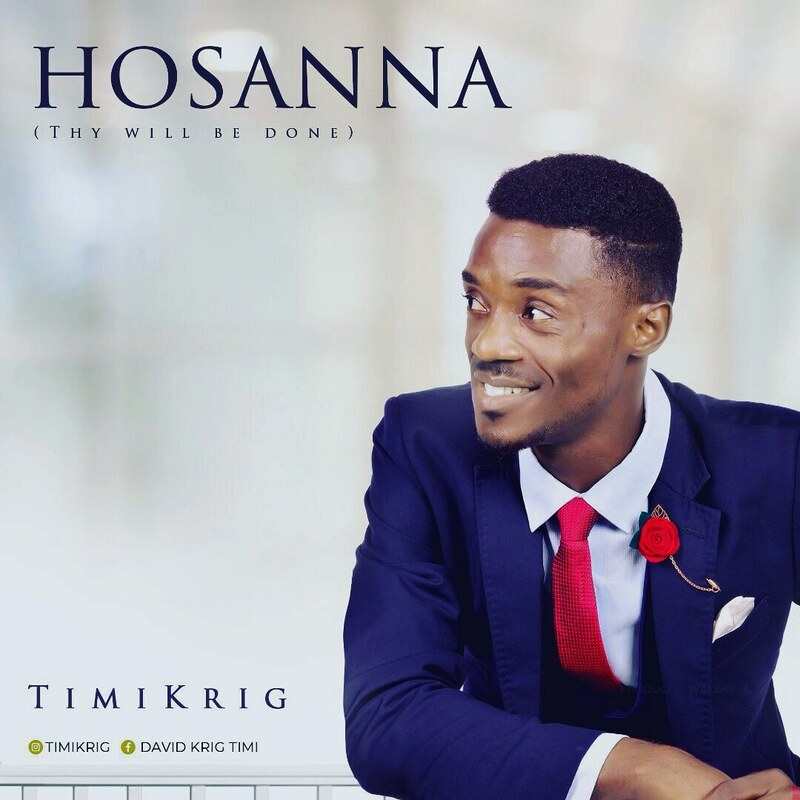 Singer-songwriter, dancer and recording artiste Timi Krig is excited to finally release the much-awaited single “HOSANNA” (Thy Will Be Done), marking his official debut into the gospel music scene. Produced by Waleki, HOSANNA is song of prayer, revival and a call for intimacy with God, surrendering all to His will. According to the young, vibrant and emerging music minister, this song was born out of the scriptures, Matt 6:10 and rev 4:10. “HOSANNA brings us to the knowledge that God is the master planner and the designer of our existence. Therefore His will be done as it is done in heaven” said Timi “So we pray that the consciousness of God’s presence be in our heart, Homes, businesses,education, government and all spheres of our lives. Timi Krig – real names ‘Krigbode David Timi‘ who hails from Delta state, Nigeria – is currently based in Lagos where he also serves in a local church.